If you’ve never been on a lad’s holiday before, understanding how much money you should get exchanged can be tough. You don’t want to take too much, but you definitely don’t want to be out of pocket when your mates are all having a good time. So, how can you work out how much spending money you should be taking on 2019’s top lads’ holiday destinations? There’s no party place like Ibiza, especially for young Brits wanting to party the days away. Pretty much everywhere you stay on the Balearic Island of Ibiza, you get a 24-hour party scene, incredible weather, excellent pool parties, world-renowned DJs, heaps of hilarious daytime activities, party boat cruises, and holidaymakers posing in front of countless selfie frames. 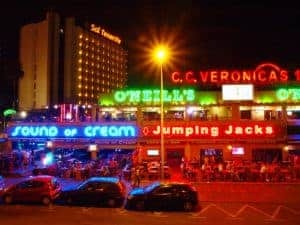 The clubs here are visited by people from across the world and you have a great mix of bar vibes — from sports and Irish bars, to rock/indie and chilled pool bars. Head to the San Antonio area for the best nightlife. But bear in mind, drinks and entry fees in certain bars and many clubs get extremely expensive in Ibiza. Krakow is known as the place to be for stag dos, but that’s not to say there’s no room for your lads holiday. If you’re after a long weekend of bars, beers and chilled times; this city is ideal. Made up of 18 districts, your best bet is booking accommodation near public transport to save on taxi fares or bang in the centre to be near the best nightlife spots. Krakow is full of cool basement bars with great atmospheres. You’ll find hundreds of bars and clubs stretching out from the city centre, while the best clubs lie on Szewska and Florianska high streets. If you’ve got this one on your list of destinations, then don’t hesitate to book. 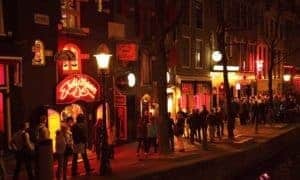 Ideal for an easy time away, the capital of the Netherlands has a world-renowned reputation for partying and is packed with clubs that attract the best DJs on the planet. During the day, you can make the most of this incredible location by taking a boat cruise along a canal, booking a group bike ride along the winding streets or going on a brewery experience. But on the evening, it can become quite chilly, so remember your long sleeve t-shirts. If you’re looking after a fun yet chilled scene, Tenerife is your go-to place. The biggest of the Canary Islands and found off the coast of Africa, you have an incredible beach and nightlife scene on your doorstep. After a day round the pool or doing water sports in the sea, you’ll want to see what Playa da las Americas has to offer if you’re into bars and DJ music — this is also where the brother of football hero, Gary Lineker, has his sports bar. Clubs here last until the early hours of the morning and we recommend flying into Tenerife Sur airport in the south, if you can, for a shorter transfer. Everyone seems to be going to Split in Croatia now, so if you’re looking to immerse in with other party animals, book your trip now! With beaches soaked in sun, a laid-back vibe and heaps of water activities to get involved with — like jet-skiing and boat parties — Split is a top choice if you’re looking to relax, enjoy the weather and have a laugh with your mates. 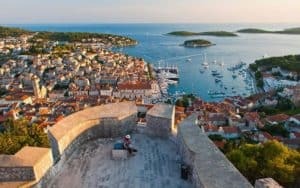 At night, Split comes alive with chilled terrace bars, lively entertainment and booming clubs open until the early hours. Every time you visit Cancun, the party scene will somehow seem different — making it a great place to return if you enjoy it the first time around. From Vegas-like pool parties and party cruises to nearby islands, to some of the best clubbing experiences in the world and great places for local food; Cancun is a must-do at least once in your life. Although the clubs here can have expensive entry fees, some of these are world-class and the entertainment is out of this world. 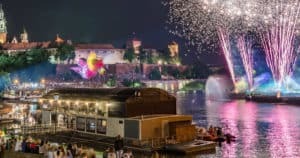 From our list above, we can see that Krakow is the cheapest place to be in terms of affordable hotels and beer. As expected, Ibiza appears to be your most expensive location, partly due to its popularity, while opposing beach destination, Tenerife, offered lower hotel, food and beer prices. Although, Cancun has a slightly higher average daily cost, the average prices of its food and drink per person work out far cheaper than competing beach getaway destination, Split. However, once you factor in flights, you may see the holiday cost start evening out. These figures were taken from Price of Travel and Budget Your Trip, correct as of July 2017 and are calculated as per person.